· Colour of cap denotes inductive or capacitive. 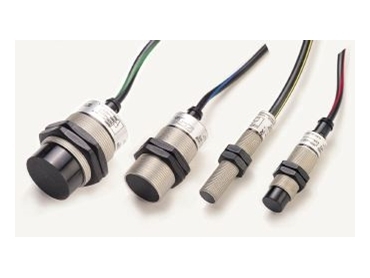 Furthermore, Rhomberg dc sensors are rated higher than most brands around, with a standard 10-60V dc power supply range as well as the capability of switching up to 400mA directly, without an external relay. Rhomberg offers most sensors in 40mm diameter barrels maximum to provide for extra sensing distance. Convergent Water Controls 02 9667 1944.